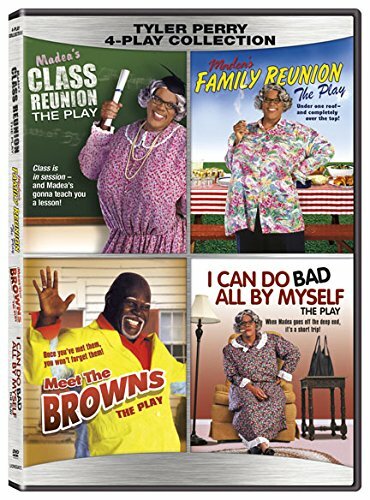 Tyler Perry 4-Play Collection features Madea's Class Reunion, Madea's Family Reunion, Meet the Browns, and I Can Do Bad All By Myself. All features are plays. Plastic has been removed, DVD has been inspected, no scratches.